Have you already unlocked the power of social learning? Do your corporate learners rely on their peers for unique insights and online training experiences? In this article, I'll share 8 ways to foster knowledge sharing through online learning communities. Corporate learners access your online training resources to expand their knowledge and build essential skills. However, they also bring their own wealth of experience that can benefit their peers. The key is creating an environment where they feel comfortable sharing ideas, personal perspectives, and opinions, as well as asking their peers for assistance when the need arises. 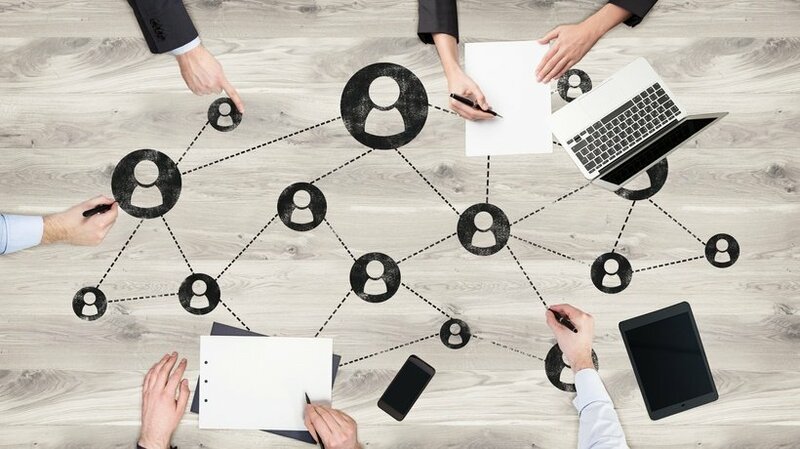 Here are 8 ways that you can facilitate knowledge sharing through a thriving online learning community. Social media groups give corporate learners a semi-public online forum to voice their concerns and ask pressing questions. They can also post links to helpful online training resources so that peers can improve their own understanding. It's wise to create separate social media groups based on specific topics, goals, or interests. For example, one Facebook group may pertain to customer service skills, while another is intended for compliance and company policy updates. Online group collaboration projects offer corporate learners the opportunity to interact with their peers on a more personal level. They can also build teamwork, communication, and management skills. Assign each group a real-world problem or case study they must solve. Supply them with a list of online training resources and tools they can use. Then have them work together to find a viable solution and explore all facets of the topic. Afterwards, they can share their findings in the form of an online presentation, corporate eLearning blog, or infographic. Online discussions can serve as a central learning hub for your online learning community. Corporate learners have the ability to start their own message threads or leave their responses on others' posts. Thus, they can freely exchange their ideas and experiences in order to expand their knowledge base. It's important to note that online discussions may require detailed guidelines. For example, how corporate learners should resolve disagreements, and the importance of respecting differing viewpoints. You should also appoint a moderator who can oversee the online discussions and intervene whenever necessary. Monthly live webinars are a great opportunity to catch up and give corporate learners the latest news about the online training course. Corporate learners also have the ability to address issues that are on their mind, which may be shared by the entire online learning community. For example, a corporate learner may have trouble completing the task-based online training scenario. They bring it up during the regularly scheduled webinar, and realize that a majority of their peers are experiencing the same problem. As a result, they can form online study groups or share links of online training resources to bridge the performance gap. Don't forget to record the webinar for those who are unable to attend the live event. You might even consider breaking the presentation into easily digestible sections to build your microlearning online training repository. Coprorate learners work one-on-one to bridge knowledge gaps and share their unique perspectives. A mentorship online training program also allows them to focus on areas of improvement in a less public forum. For example, they can create personalized online training contracts to outline goals and desired outcomes, as well as determine which online training resources are ideal for the task. Thanks to a Project Management online platform, the mentor and mentee are able to meet up on a regular basis and reevaluate their online training strategy. This approach is similar to a mentorship online training program. However, it involves a diverse group of individuals who can all share their personal insights and perspectives. Appoint a team leader who can oversee the online discussions and assign tasks. This individual can also give the other members of the online training team specific responsibilities or roles. For example, one of the teammates is in charge of taking notes and updating the group calendar each week. These online training teams focus on common goals or learning objectives. Thus, they are able to work together to achieve the desired outcomes and get a fresh perspective. There are times when corporate learners need quick tidbits of information to overcome a challenge or accomplish a goal. However, you may not have the online training resources to develop a broad range of microlearning online training materials. Fortunately, there is a way to get your corporate learners involved, build a thriving online learning community, and expand your online training repository. Invite corporate learners to share online training resources they've found useful and add them to your microlearning library. They can even create online training content of their own and share it with their peers. Just make sure you create a solid framework by categorizing your microlearning library in advance. For example, break the list into topics, tasks, or departments so that corporate learners can easily upload and find relevant online training resources. Why not turn your more knowledgeable and experienced corporate learners into in-house Subject Matter Experts? Encourage corporate learners to create their own corporate eLearning blogs and post on a regular basis. They have the power to share their expertise with others. In exchange, they receive valuable input to continually improve. Encourage them to create a weekly posting schedule so that they cover all the essentials and create a master list of learner-generated blogs to increase community participation and knowledge sharing. You might even consider learner-hosted webinars. Invite a new corporate learner to host the event each month or make it a weekly project if you have an abundance of Subject Matter Experts in the group. Active online learning communities rely on consistency and ongoing communication. As such, they do require some upkeep. Create community guidelines to clarify expectations and a posting schedule to continually encourage knowledge sharing. You should also maintain an active presence within the social learning platforms so as to lead by example.